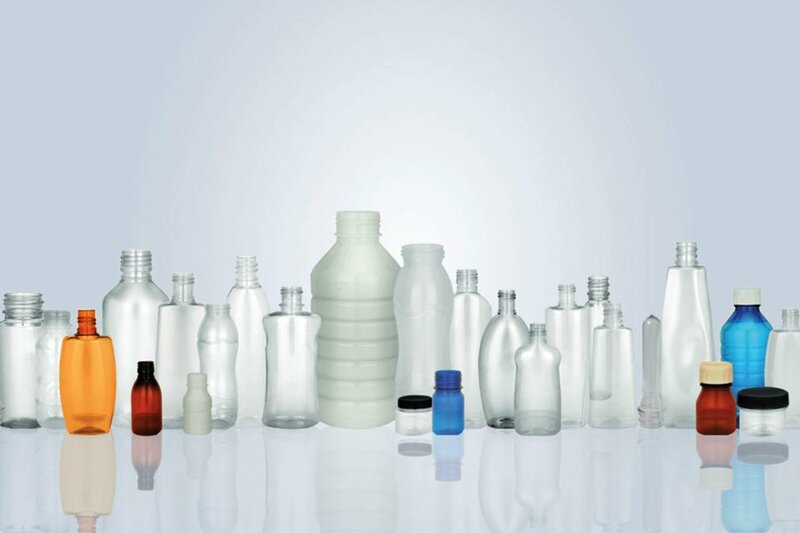 Clear, strong and lightweight polyethylene terephthalate plastic (PET) is widely used for pharma bottles around the world. PET is also used for bottled water, soft drinks, and other liquids meant for human consumption. The PET used for food or pharma applications must be non-toxic, non-carcinogenic, biocompatible, and in no way detrimental in the biological environment. PET has been approved for food and beverage contact by the Food and Drug Administration (FDA) of the United States, Health Canada, and the European Food Safety Authority. The drug development process includes and examines PET packaging wherein it is tested for leaching and extractability in conjunction with the drug. The manufacturing process involved in the production of PET containers or packaging for food and pharma products does not use any heavy metals, which eliminates any concern regarding the presence of harmful chemicals such as Bisphenol A (BPA) or di (2-ethylhexyl) phthalate (DEHP), which is a plastic-softening phthalate that was banned by the EU over six years ago. Phthalates are undeniably dangerous and used as plasticizers in many household products and even in some food products so regulatory regimes are required in every country that uses chemicals and plastics. Baby bottles made of polycarbonates containing Bisphenol A are of course banned but these should not be confused with PET used for food or pharma packaging. In 2013, Him Jagriti, an NGO, approached the Ministry of Health seeking a ban on the use of PET containers for pharmaceutical packaging. The Indian government’s Drugs and Technical Advisory Board recommended that PET packaging be banned for the pharmaceutical products for children and pregnant women. The ban was based on tests conducted by the All India Institute of Hygiene and Public Health that revealed toxicity and a high level of phthalates leaching from the PET containers used for pharma packaging. However, the draft notification of the government which banned the use of PET for packaging liquid oral formulations for pediatric and geriatric use and for drugs used by pregnant women was put on hold in September 2014. At the time the government set up a committee under MK Bhan, a former secretary in the department of biotechnology, to study the issue. The Bhan panel declared that there was no conclusive evidence that any of the additives used in PET containers may lead to leaching of toxic or dangerous substances or posing a threat to health. Nevertheless, the government through the Indian Council of Medical Research, has decided to revisit the matter conclusively by assigning it to three laboratories. The first lab entrusted with this task is the National Institute of Nutrition at Hyderabad. The industry, including the PET Container Manufacturers Association, has welcomed this development in fully resolving the safety concerns for pharmaceutical packaging. There is no question that in a developed economy which uses manufactured products, there is a need and expectation that government bodies understand the complexities of materials and outcomes in all the supply chains. Just as government regulations and monitoring of automobile manufacturing has to extend to operational and passenger safety and environmental emissions. Regulatory compliances have to be monitored right from the safety of input materials, to employee safety on the assembly line and safety on the roads not just for the passengers but also for others. In a country where laws are flouted with impunity, the monitoring and enforcement of regulatory compliances is at times possibly even further behind. The hope however is that the government, as it modernizes and invests in technology and human capital, will become more efficient in understanding the technicalities to speedily come up with scientific and realistic regulations accompanied by a reliable monitoring and compliance framework. In the case of the pharma and packaging industries, it is fortunate to be dealing with manufacturers who are as keen on safety and compliance outcomes as the government itself. This is because all organized players actually prefer a level playing field.